I could be writing about the horrendous past of Vietnam based on the books/articles I have read, documentaries I have watched and even stories I have heard. None of those could compare to actually getting down to the real experience and being there to see and feel for oneself. The very location where the vigilantes kept watch as their homes are blasted and their countrymen are killed before their very eyes as they laid in silence, tightening their hearts and clenching their fists in patience; or rather, impertinence. They had to wait, as they begin their underground plans and the right time to strike back. Those sacrifices are not to be in vain. They will make their enemies pay, for that very same deed and amount of blood shed they had witnessed. They will rip their guts apart and blow them to pieces, the very same way they have done to their loved ones. They will not get away with this. These are probably the thoughts that had run through the Viet Cong's ( the guerrilla fighters of the People's Liberation Armed Forces of South Vietnam (PLAF)) minds as they planned their revenge on the US army during the infamous Vietnam War. Vietnam War(1955-1975) - also known as Second Indochina War, or among the Vietnamese as the Resistance War against America is one of the darkest spots in the entire history of Vietnam, and is one that had entirely changed the country until this very day, where the effects of the war are still visible in various parts of the nation and the very mention of the event brought fear and terror to the eyes of some of the older folks. The long fought war had brought down the spirits nationwide though patriotism was kept very well alive. Sadly, the same thing cannot be said of the many who had lost their lives in the destruction which swept out villages and towns, even, and the profound impact of the chemical warfare had stayed on, traumatizing the survivors who will live with the dreadful memories on their bodies. For more than decades, the war between the United States and Vietnam took place in South Vietnam. The growth in US military presence in Vietnam was a threat to the nation and it would have seemed as though victory had been evident; had it not been for the persistence and determination of these willful fighters who will not give up without a battle. The Vietnamese was at the mercy of the trudging American troops, but yet they fought on. They had their plan of retaliation; they had their wait for the day they would see light in their own country. A plan which they put to work. A plan which took more than two decades to establish and complete. A plan which became a reality. A plan to strike back. A plan which became a success. A plan which led to years of suffering and even losing their lives and sanity as they struggled to live in the worst of conditions. A plan which became their only way of survival. A plan which avenged the thousands of their people who had died. A plan which is all worked out in the underground. A plan which none spoke out about to the enemies. This plan, made history because of its success. It struck back at the enemy's army, and killed them in huge numbers yet they could not see it coming. A plan which the Vietnamese fighters hid so well that their enemies never knew they were coming. The enemy could never find them. They tried, but they just couldn't. They scoured everywhere but these fighters are just appearing and disappearing before their very eyes. A success which the Vietnamese continued to be proud of to this very day. They may have lived to be terrorized by the Vietnam War which they would not bring to their lips. But this historic success could never be forgotten. It could never be unspoken of. It is still there, reminding the Vietnamese of their past. It is all in the depths of the grounds of Vietnam; the amazing and complex network of underground tunnels running all across the nation which hid the fighters during the war. 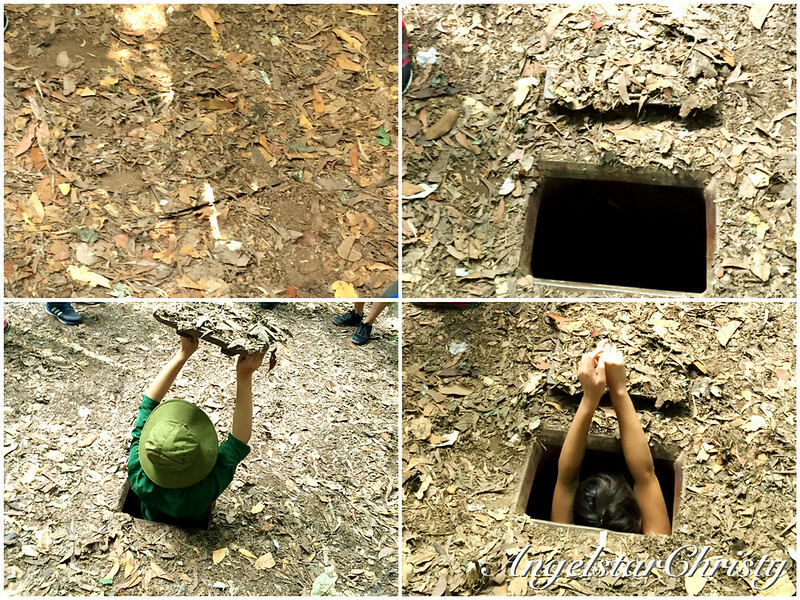 Cu Chi Tunnels is that very plan, hatched up by the Viet Cong which took years to complete. It is baffling to even consider that the Vietnamese could even work out the construction of the tunnels while hiding from the invasive attacks from the US Army. Located in the Cu Chi district of Saigon in the southern part of Vietnam, the tunnels are well-connected, sprawling through the various locations in the country. This, is the location where they sought refuge during the war, and remained in hiding. This is where the Vietnamese held their spirits in fighting and of survival, while living among their inventory of food and weapons, along with dangerous natural species in their natural habitats. Air, water and food were scarce. If one were to think that the battle fought on the grounds were tough, the battle underground was not any less harrowing in nature. 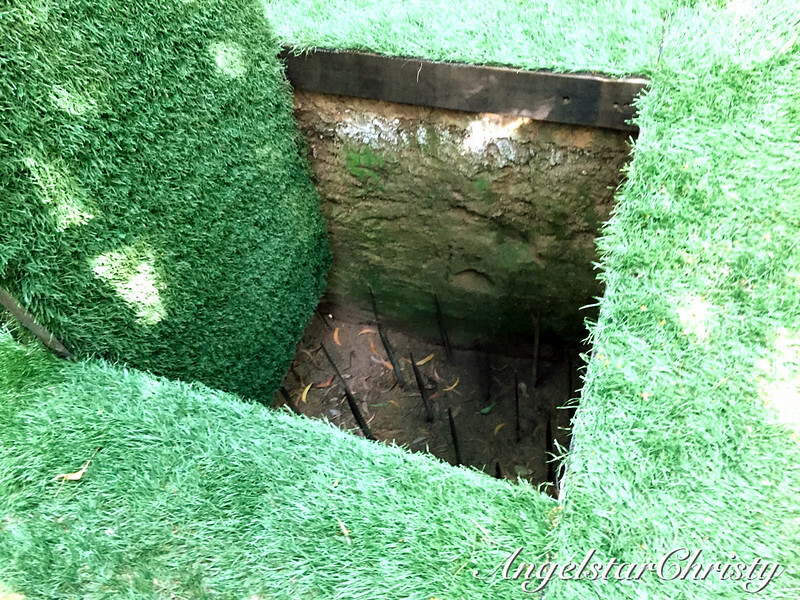 I had read about the Cu Chi tunnels, and the survival spirit of the local Vietnamese back then had me in awe. I could only imagine their living conditions and it still baffled me as to how these people could have lived, in such uncomfortable environments; let alone thrived on for generations, underground. 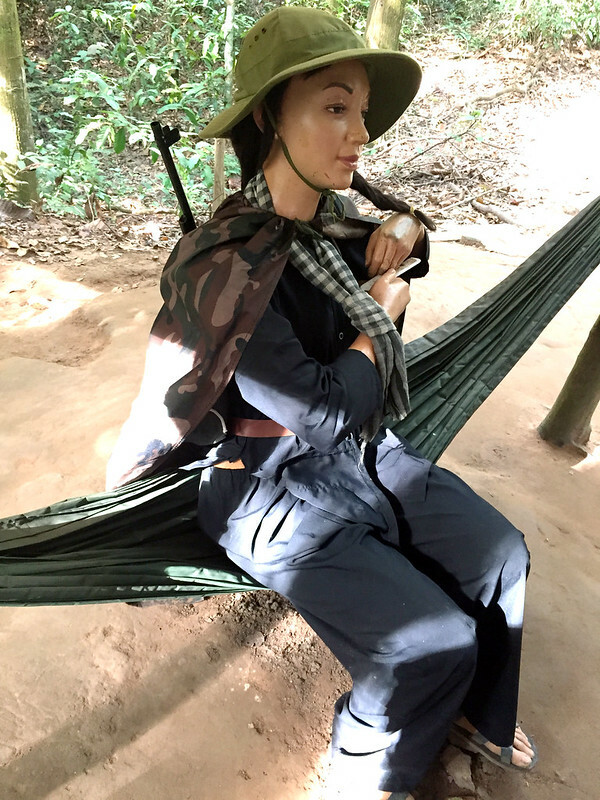 When I arrived at the very spot of Cu Chi tunnels; which is today a tourist destination, an effort made possible by the Vietnamese government to preserve this part of history and to display to their own people along with the rest of the world, there was only one question that continued to plague my mind. How did these people lived and survived underground? I guess the need for survival and that determination to just live could overcome that perplexity. It showed me the extremity of the possibilities that humans could go to, to just keep themselves alive. It is something we all need to learn from. Standing on the very grounds of Cu Chi, I closed my eyes and imagined the terror that ran through the minds of the locals as they were bombarded; attack after attack by their enemies. Running to their shelters; in homes which no longer exist. Screaming your lungs in terror, yet you know no one could hear you as your voice is drowned by the loud sounds of blast as another bomb hits the ground. You turn around and you see your loved ones lying around you, motionless; covered in blood. You run and you run, and hide. You are afraid, yet you are furious. You are depressed, yet you are filled with desperation. You are impatient, yet you know you are helpless. You are terrified, yet you are vengeful. All these thoughts ran through my mind as I stood there, staring into the bushes which stood their ground. I barely heard a word my tour guide was saying. I stared into the distance and wondered, how did people ran and escape? Were these bushes the very same ones during that time? Then I looked around, and realized, I could not see a single place which is fit to hide. Where did the fighters hide? Had it not been for the tour guide or the site guides showing us the opening to the tunnels, I am pretty sure none of us could have ever find it by ourselves. It was well-camouflaged and brilliantly hidden from view. The site guide demonstrated how the guerrilla fighter would have entered the opening. It was such a small space that it would not have been possible for someone of a larger build to enter. Once the lid is closed, you would not even notice that there was a sign of an opening. Many took turns to hop into the hole to experience how it was like to get into the tunnel and how it really looked like in the tunnels. It is not recommended for the claustrophobics. But I bet even claustrophobia had nothing against survival during that time. These tunnels were the source of frustration for the US army during that time, as they were baffled by the strikes launched by their enemies yet was unable to detect their presence. US was determined to wipe out the hiding place as they launched Operation Crimp and Operation Cedar Falls to hunt for the Vietnamese base, yet to no avail. Worse, they even lost their soldiers in the efforts of uncovering and destroying these tunnels as they were further surprised by booby traps and hazards greeting them whenever they figured out an opening. They had underestimated their opponent. The Vietnamese were careful with the tunnels, and had considered many possibilities which contributed to their successes. From camouflaging their doors, to the ventilation holes for breathing and countering flood issues in the tunnels and winding passageways to confuse anyone who enters the tunnel unguided, the Vietnamese had it all under their control. They had even prepared little surprises for any enemy intrusion into their place of refuge. Needless to say, they were deadly, to say the least. I could not bear to even think or imagine the fates of those who had met with the booby traps when they found the trap door leading into the tunnels. The tunnel rats; specially trained by the US Army following the inspired discoveries of the Australian military in understanding and uncovering these tunnels, were part of the continuous efforts of the US to eliminate these tunnels. They never really succeeded in eliminating the tunnels completely. The Vietnamese thrived on, even settling with families and children, for generations underground, in this very tunnel. As I was led to experience for myself, crawling into the tunnel, I could barely stand the muffled condition in the tunnel. There was barely room to move, although it was much easier for someone my height and stature given the height of the tunnel but many was really glad when they came up for air at the end. This was only a short distance for tourists to experience, and even the height of this "tourist" tunnel was adjusted from the original height of the tunnel which was much lower. I could barely breathe for long in there, let alone live. 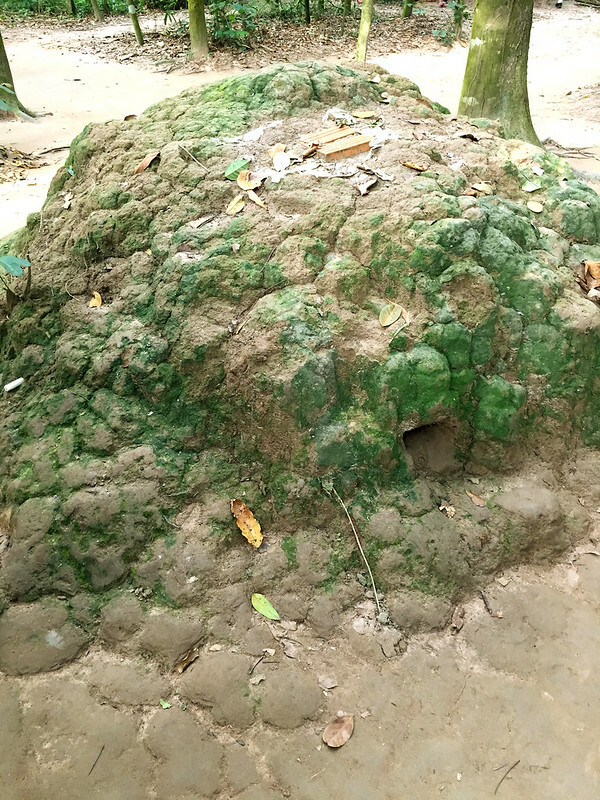 Parts of the complex tunnel network had caved in over time, making it really hazardous for further exploration and this is the only part remaining of Cu Chi Tunnels which is still open to public, in Ben Dinh, closer to Saigon. 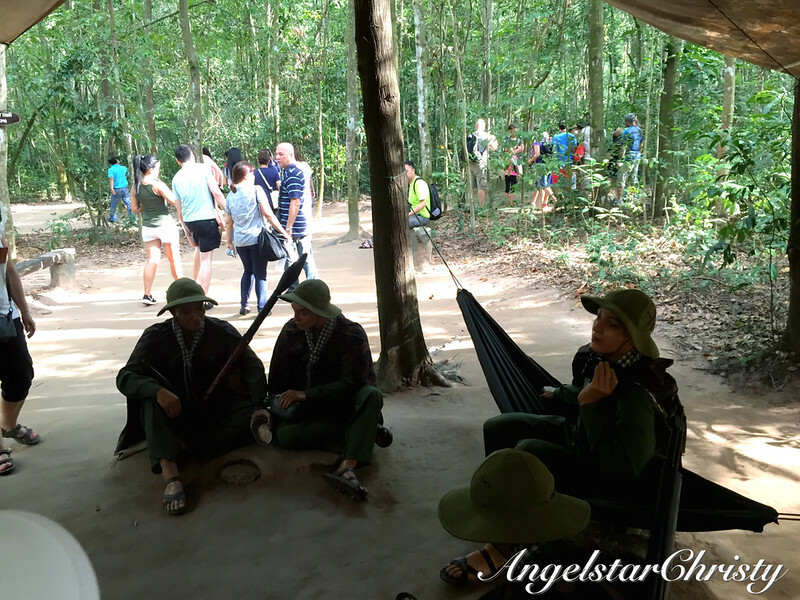 The grounds of Cu Chi today seemed like any normal location, surrounded by forests and filled with the voices of tourists, while exhibits from the war are on display in various locations for visitors to view and to have an idea of the conditions back then during the war period. Yet it is underneath these grounds that the biggest secrets lie, running throughout the entire nation in its complexity. These tunnels remain hidden in view, though not from the public's knowledge anymore, but no amount of publicity or media exposure could truly reveal all the secrets of these winding passages and even of the human beings who had lived their lives, hunched in fear under these very grounds. It may be triumphant that they were never discovered and led Vietnam to their victory in the war, but was it truly triumph that these people felt, hiding from daylight? While they had bloody battles above the grounds, was it truly all well and amicable underground where they battled with scarcity of air, water and even venomous attacks from spiders, snakes and scorpions? We could only imagine what it is like. If a mere few minutes kept us gasping for air and thankful to finally see light at the end of our short crawling experience, I think the answer is clear. The development and modernization of Vietnam has much to owe to these underground secrets, which are kept buried not only underneath the nation, but forever in the hearts and minds of the Vietnamese for generations to come. The Viet Cong and all those who fought in the Vietnam War; and those who thrived in the Cu Chi tunnels, you have my utmost respect. Their fighting spirit and their strong wills are inspirational and admirable to say the least. While many are lamenting on life and thinking of ending their lives just because of simple mistakes, these are the people who fought on despite the meager chances they had amidst their disadvantages opposite a much more powerful force. They never gave up on their lives, although they had to crawl and probably even slither through these narrow tunnels. They could barely breathe and feared for their last every single waking moment, but they still believed. They had to fight a battle with strikes and bombs, yet also endure bites, floods and suffocation. (Many had died due to the living conditions in these tunnels; and sickness was the second largest contributor of the deaths after war injuries during that time). If they never gave up on life, why should any of us? 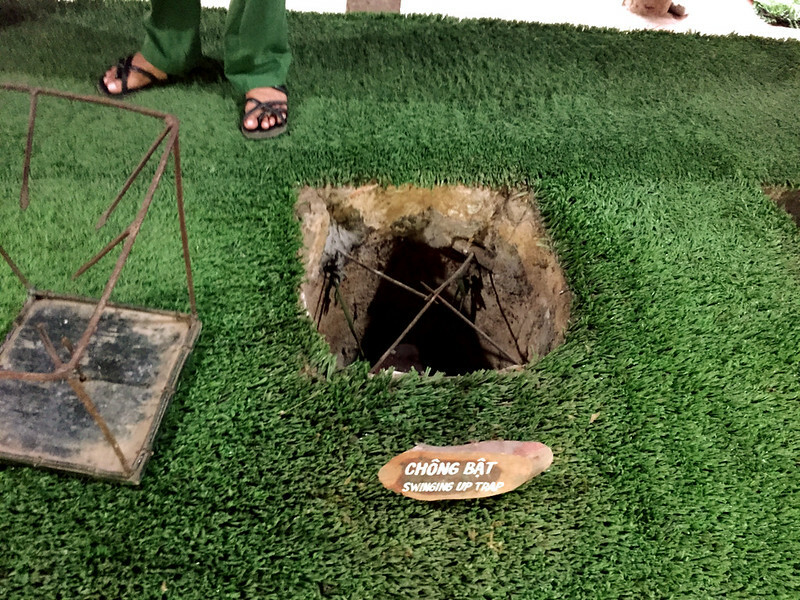 The Cu Chi tunnels are not just part of Vietnam's history, they are reminders of the value of life and how determination and persistence could change the course of even a losing battle. 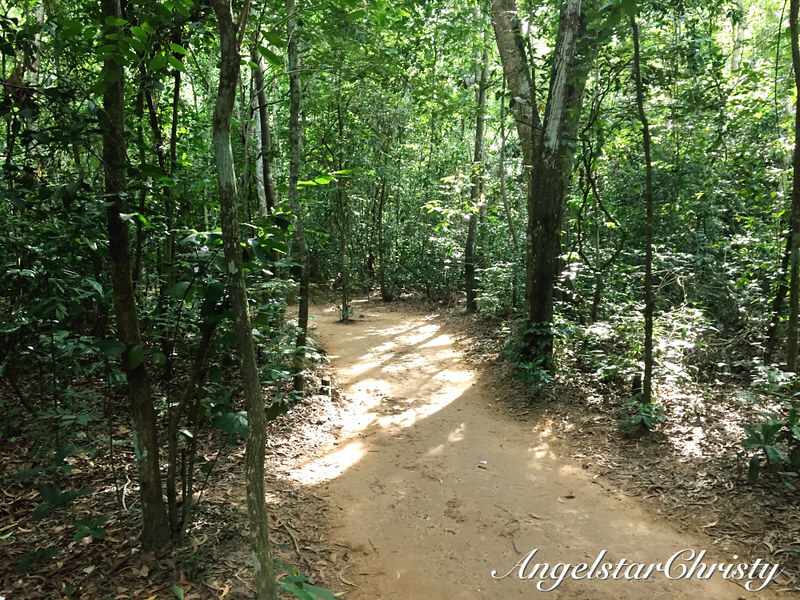 Do not just go to Cu Chi Tunnels and just tour around like a tourist. 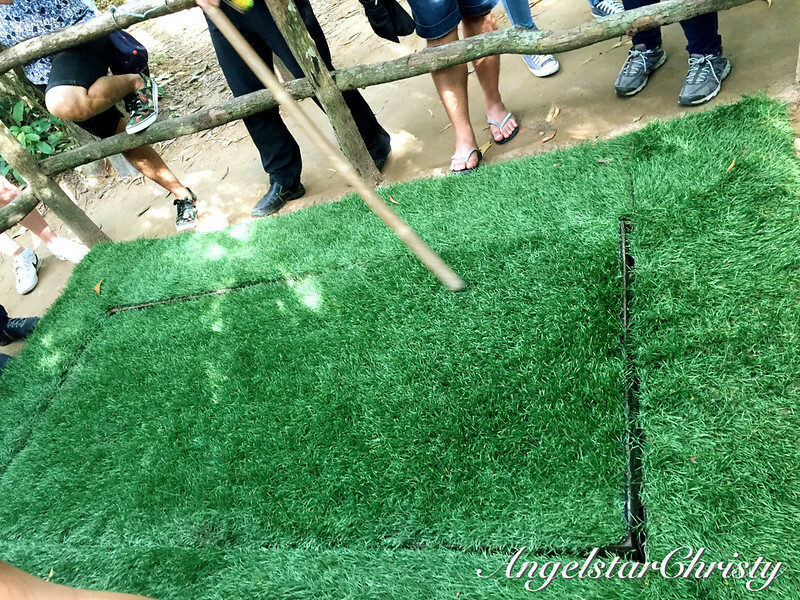 Go to Cu Chi Tunnels and be reminded of the battles fought there, and how the fighters fought and survived. It is then that you will truly experience and understand, that very core of Vietnam's history. 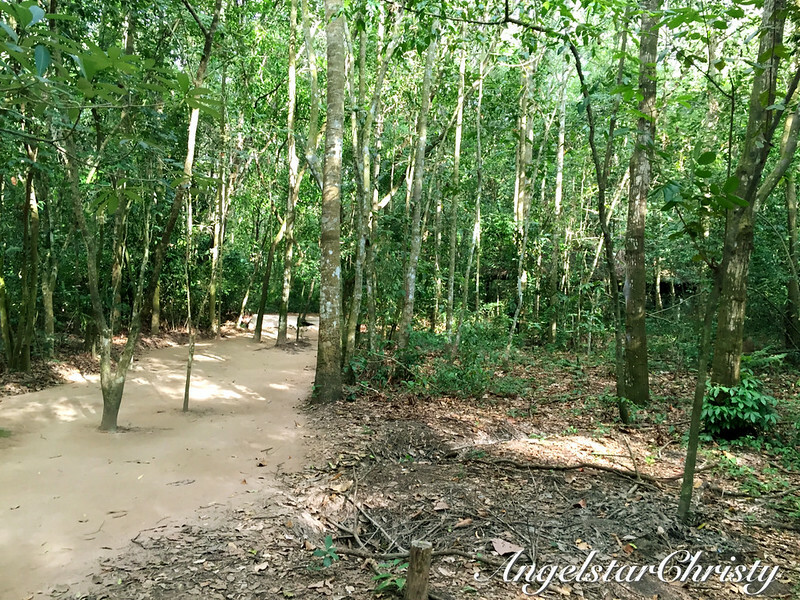 Cu Chi Tunnels forms part of the foundation of Vietnam's story and continues to run like a vein through the country today, and for ages to come. It is a reminder of Vietnam's brutal past, but most of all, it is a reminder of Life, itself. 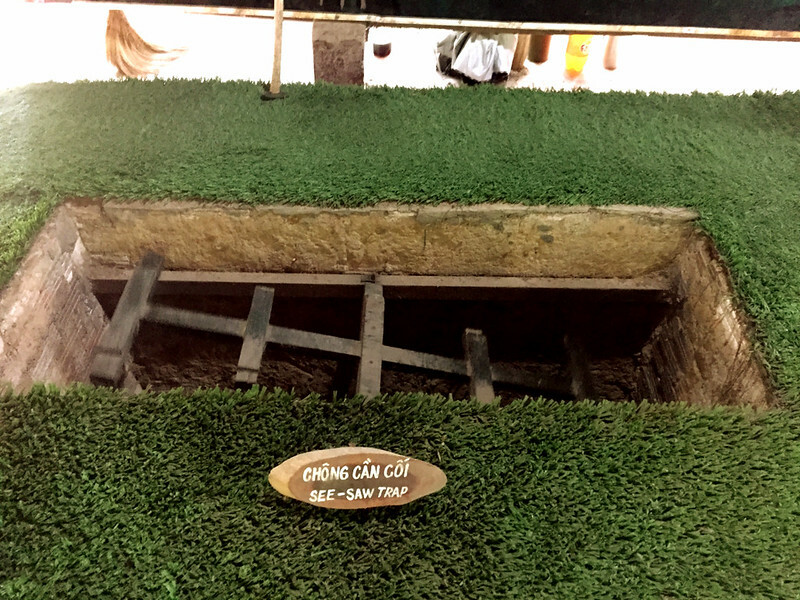 That is the true story that Cu Chi tunnel tells, all the way under the grounds and our very feet. 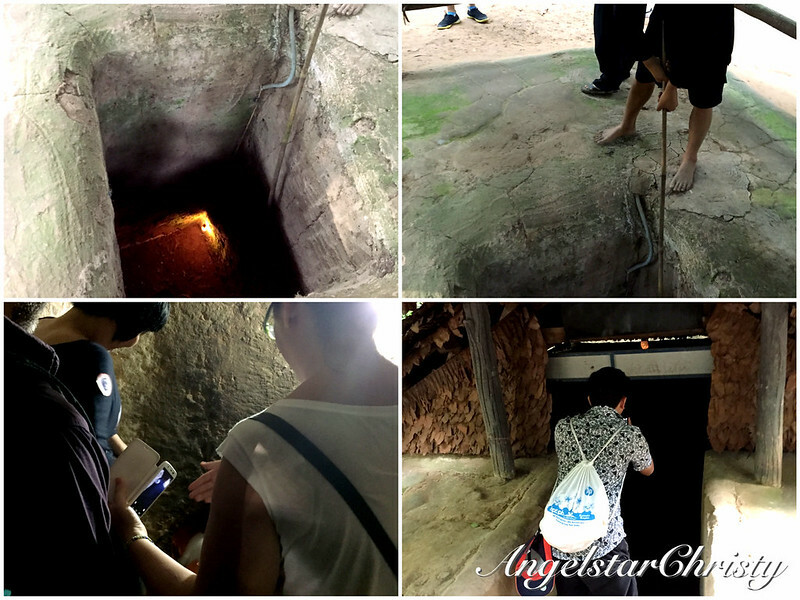 Cu Chi Tunnel was established in the 1940s, and took a duration of 25 years in its establishment. It is seen as a brilliant strategy considering the lack of defense among a peasant-populated army in the area, against the evidently much advanced weapons (including chemical substances) and even helicopters used by their enemy; the US Army. The tunnels were dug with bare hands and using the limited tools such as spades (commonly used in daily lives). Many had lived and survived during the duration of the Vietnam War; which are two decades. People had lived, married and even bore children in these tunnels. More than 10,000 lives had been lost in these tunnels, and in the war. 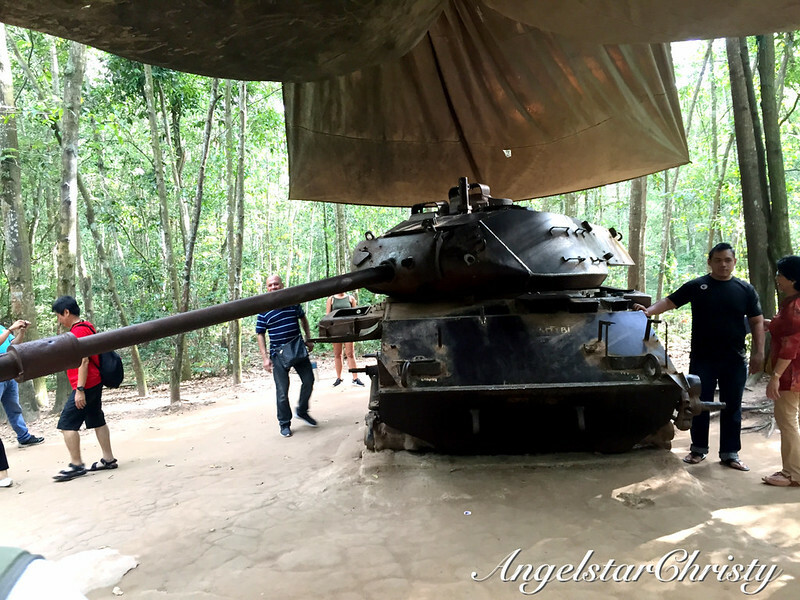 Cu Chi Tunnels is today a war memorial park and visitors can take a tour around the Ben Dinh location. Ben Duoc is further and less touristy, but most of the tours would bring you to Ben Dinh which is closer to Saigon (Ho Chi Minh City). 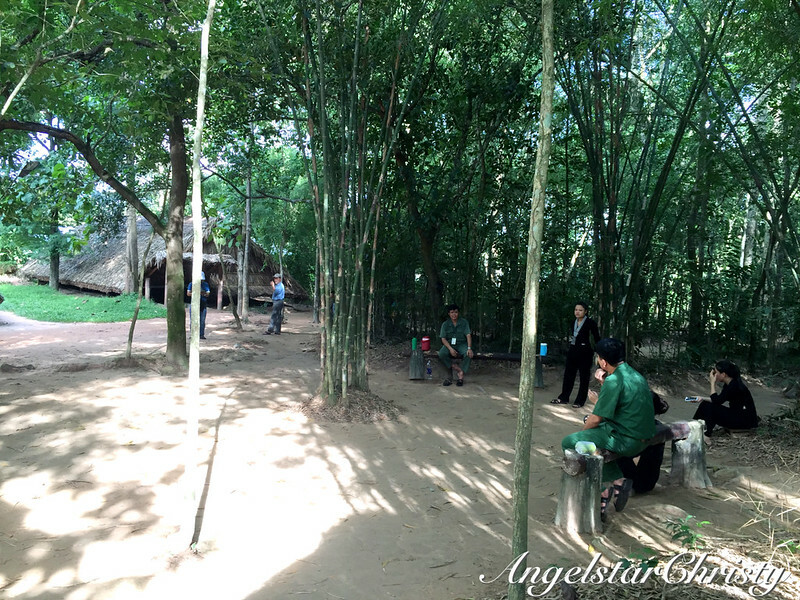 Most of the local tours organize a half-day tour to Cu Chi Tunnels. Visitors can view the war exhibits and traps used during the war. There are also display areas of the meeting places held during the Tet Offensive. Visitors can also experience going into the sample sections of the tunnel running for a short distance. (These sample sections are reconstructions of the real tunnels and have been resized to accommodate visitors with slightly more comfort). Visitors can also try going into the trap doors; though please be mindful of the fit as some could have trouble getting in and out and may have to crawl to the next exit. There is also a real shooting range where one can try to fire a weapon of their choice with real bullets (all chargeable). Visitors will also get to sample the type of food the Viet Cong ate during the war; which is steamed potato. This is based on my personal experience and is told in a subjective manner, entirely from my perspective. There is no intention to belittle any party in the story. How Much do We Give Our Parents?